I do love a hair tool, and over the years the market has become full of tongs that promise to give you the best curls, straighteners the sleekest do, and hairdryers the bounciest blowdry. 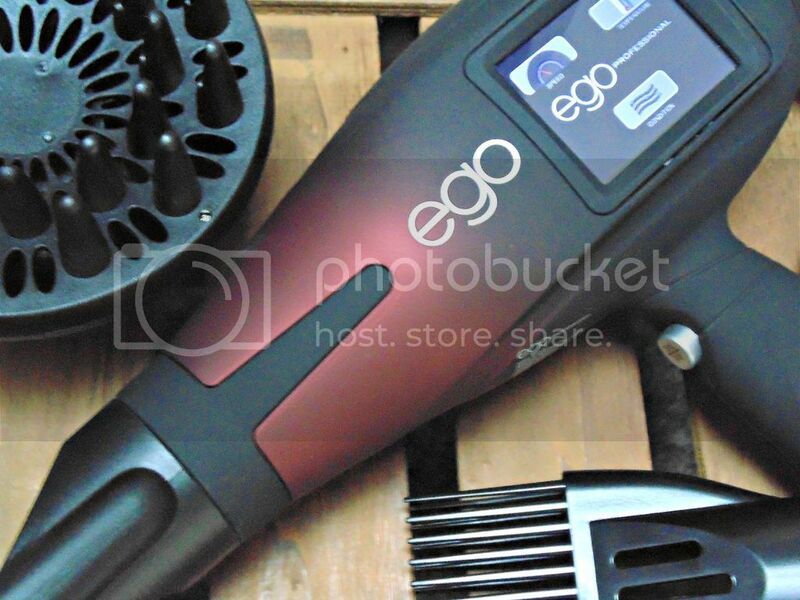 When I first opened the smart ego by Ego Professional* I was seriously impressed, this thing is at the top of it's game, the Bentley of the blowdryer world. As tech gadgets go, this is swish. 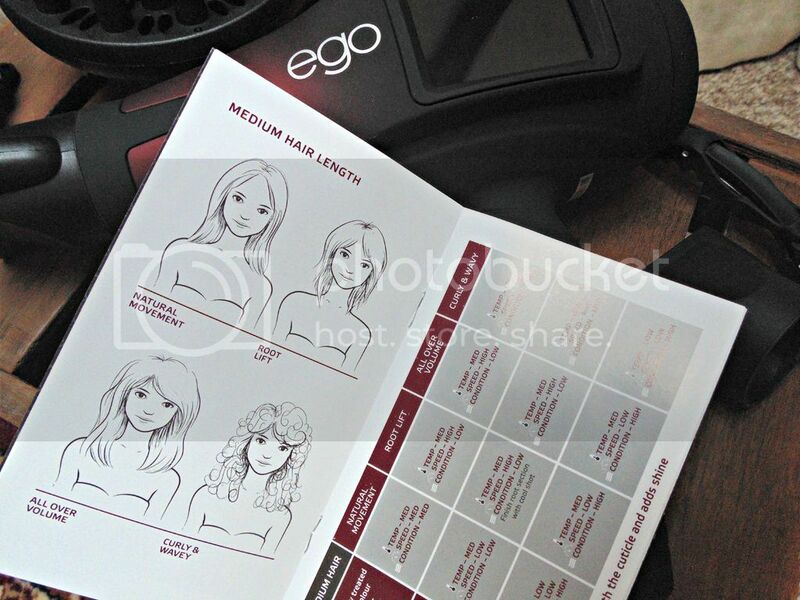 You can adjust the volume, smoothness, condition & shine of hair by using the touch-screen control. The built in screen on the main body of the hairdryer means that you can personalise your blowdry quickly and easily. I'm forever hitting buttons on the handle of dryers and tongs so the touch screen is a great idea to remove that pain! 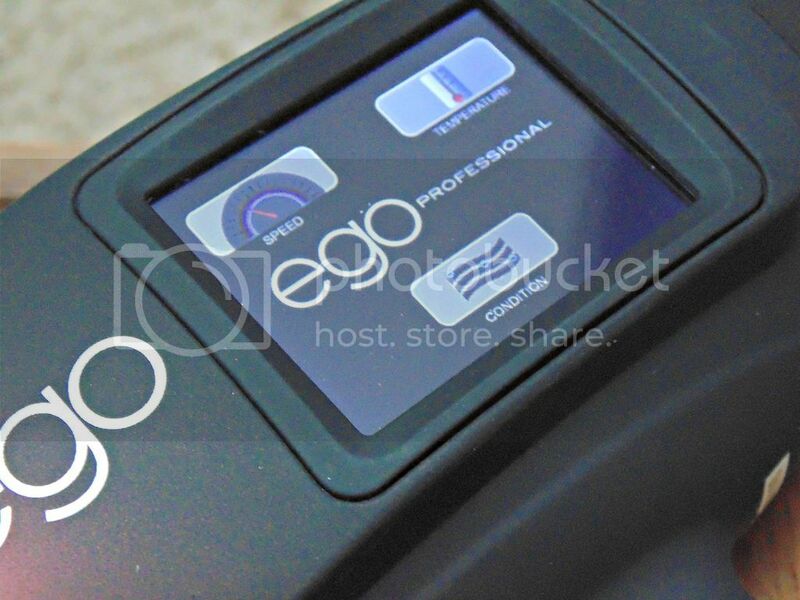 The smart ego (£129) comes with three concentrator nozzles, and section clips and a fabric covered extra long cable. It may seem a insignificient feature to think about, but I've had many a dryer cable that has kinked and broken from storage and use so having a durable cable is good news! All Ego styling tools are designed using HW2 technology, incorporating a naturally occuring mineral-laden earth from the Red Pine Forest in Korea. This is combined with crushed Tourmaline gems. A sciency way of saying you get a condition enhanced blowdry thanks to some top tech. I think this would be a great addition to a stylists kitbag, I've not had any problems whilst using, and it's lightweight meaning you won't find handling the dryer and adjusting the settings with the touch screen a problem. It's also a great gift idea for someone who loves blowdrying their hair - and loves a geeky gadget. It comes with a one year guarantee and the booklet included details how to use the various settings to give different finishes - on all lengths of hair. I always get annoyed at how a lot of brands use long haired models on how-to's of their tools. 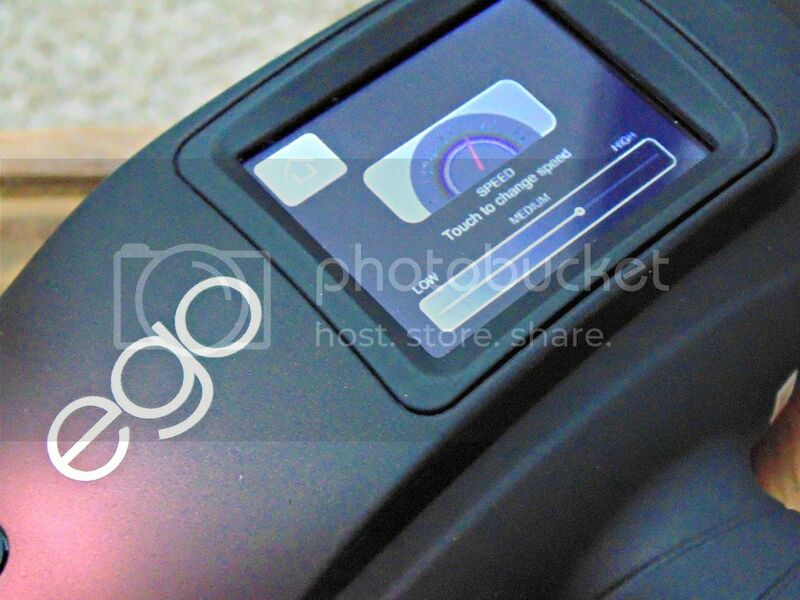 Well done Ego Professional! You can see a little video of the Ego Professional in action on my Instagram and more info is available on the Ego website. This sounds super cool, if a little too complicated for me! Hello! Could you tell me please if the cool air is really cool after putting on this cool button. In my dryer (I have the same model) is not cool at all it becomes a little bit colder but the air is still hot. And another question - is the low temperature warm or rather hot? In mine it is rather hot but I supposed it would be rather cold. I can not understand if it should be like this or it is just defective. In general I am very pleased with this dryer after drying the hair becomes shiny, soft and has the volume on the roots. I'd tell that the hair is more healthy. But that two questions bother me. Could you clarify them? Thank you.